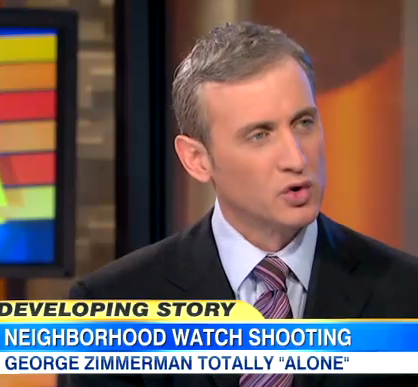 Dan was on Good Morning America again today to discuss the unfolding events surrounding George Zimmerman. These grew increasingly strange when Zimmerman’s (former) attorneys held a press conference to announce that they were no longer in touch with their client. It’s difficult to understand why exactly they chose to make all this information public – “it was really about them,” Dan said, noting the potential damage done. Effectively, in announcing that Zimmerman was no longer reachable, and calling him a potential flight risk, they achieved nothing less than throwing Zimmerman “under the bus.” A different news conference is set for today, where Special Prosecutor Angela Corey is expected to announce the charges to be made. “If you’re a supporter of George Zimmerman, you’ve got to be nervous…especially on the heels of this “bizarro press conference.” For Corey, it now means having no assurance that she’ll be able to find Zimmerman – she doesn’t have any counsel to get it from. “No one [is there] to say, ‘okay, I’ll make sure we can do this in an orderly fashion.” It may well be one of the reasons she is choosing to make her announcement now. 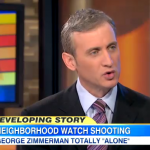 For Dan Abrams and the full discussion, click here.